This article discusses 5 best media players for Windows 10. These media player software include major audio/video codecs and can play all audio/video files. Here are 3 free audio players to download lyrics of playing song. These players also show lyrics on their interface to sing song and read lyrics together. Here is the list of 5 video players to play online streaming videos. Play online videos of different formats, like MP4, DivX, 3GP etc. Butterfly is a very simple and lightweight music player. It can play mp3, aac, ogg, flac, wav, pcm, etc. music files. FLV-Media-Player is one of the best free flv player that can play different types of audio video files. Capture video screenshots and create playlists. Here are 5 popular best free codec packs loaded with all the essential codecs. Install one of them and you will have a great media experience. 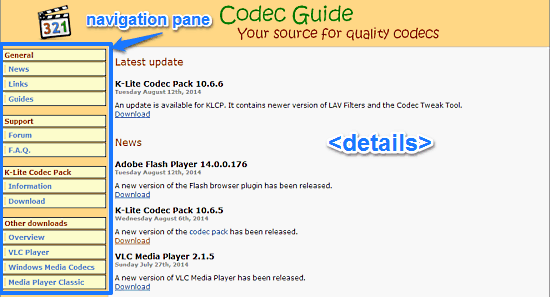 Codec Guide is a free website to get codec packs, information and support about codecs. It features help forums, tutorials as well as hosted download links. Audio Monster Player is a free audio player, supporting all major audio formats and streaming Internet Radio. It also supports 3D audio processing effects. 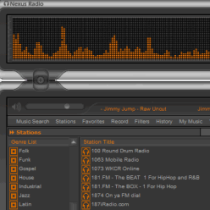 Nexus Radio is a free Internet radio player that comes with over 12k radio stations. It can record internet radio and you can also schedule recording.